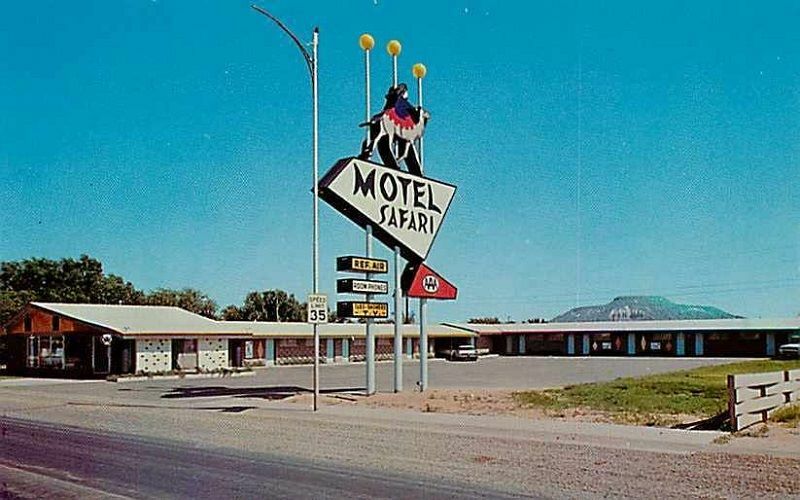 Route 66 history includes the growth of the Lodging Industry, to serve the thousands of travelers on the new US Highway that would connect Chicago to the Pacific Coast in Santa Monica, California. 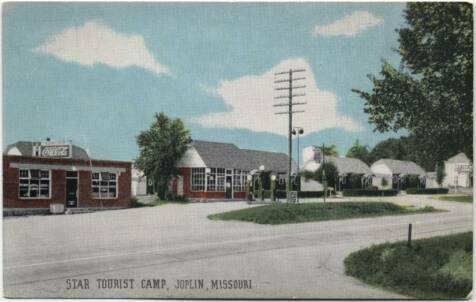 Early travelers in the 1920's found few places to stay, and most camped in their cars or slept in tents in campgrounds along the Route. 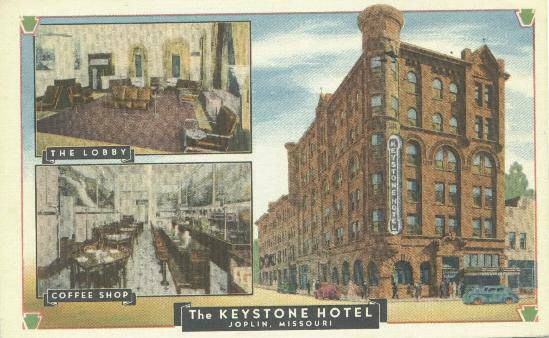 As more demand increased in the 30's, rooms were offered in Tourist Camps and Tourist Courts, usually with fewer than 15 rooms. 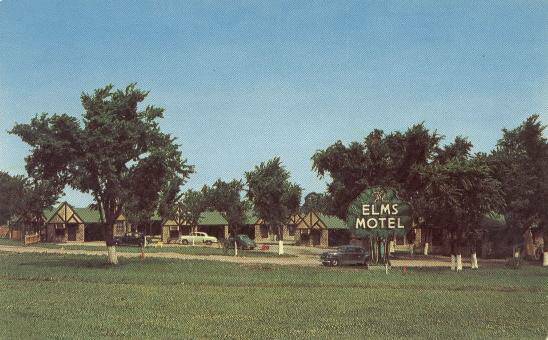 Later, larger cities offered beautiful Hotels, while rooms with a carport became known as Motels, and by then, Route 66 was well-established as the main commerce Route for those migrating west, and for the growing ranks of Tourists vacationing along the way. 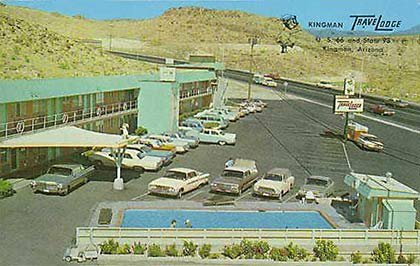 Today, many of the original Tourist Courts are gone, along with older Motels with bright neon signs. Those that survived are being restored to their original appearance, only with modern conviences such as color tv and air conditioning. Even the small group of "Wig-Wam's" are still open for business. 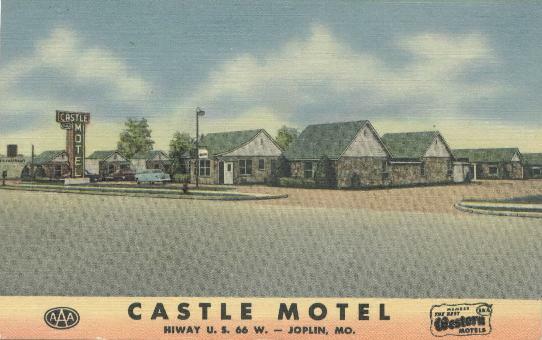 These old photos and postcards show what it was like to get a good night's rest after a long day's drive on this famous highway, so when you make this famous Roadtrip, be sure to stay with the friendly Inn-keepers who helped build America along the Mother Road...you'll be glad you did! 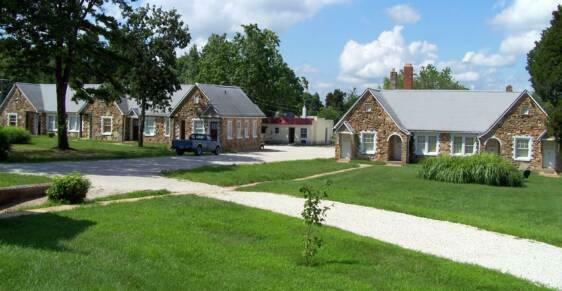 Restored Wagon Wheel Motel, Cuba, MO. 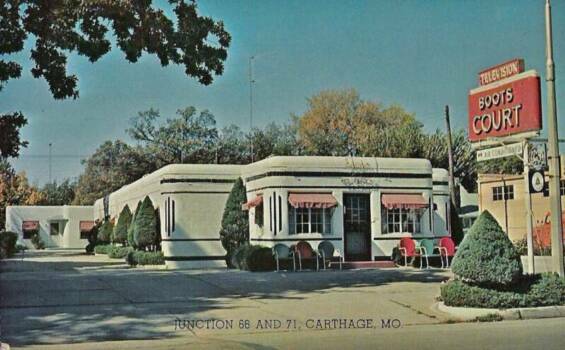 Circa 1950's, on the 1958 alignment of Route 66. 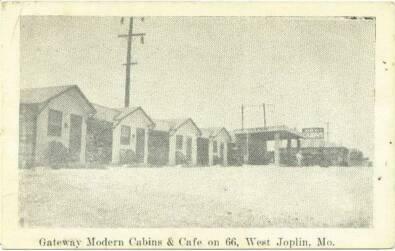 Circa early 1950's, on the future 1958 alignment of Route 66. Was located on the N.W. 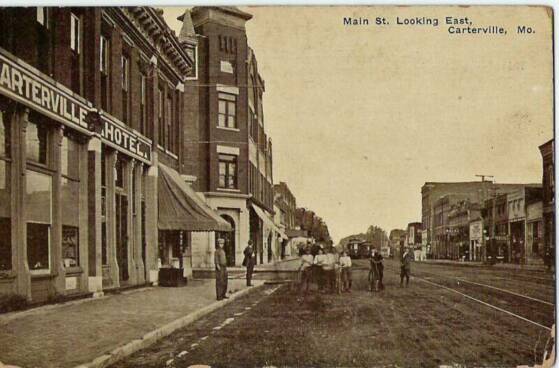 corner of East 7th. 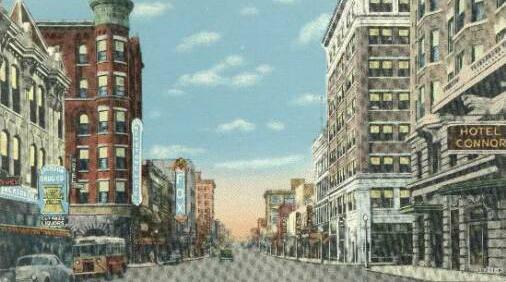 St. and Rangeline Road. Gone now. 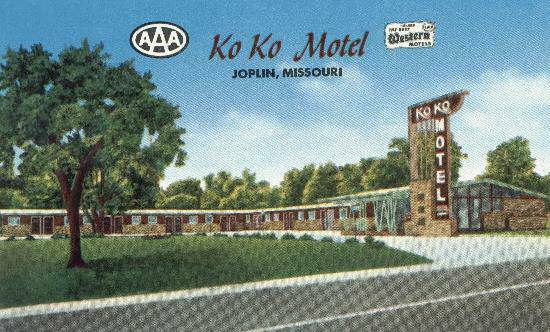 Ozark Motel, Joplin, MO., on Route 66 & Hwy. 71. Had popular restaurant. Note the Bunny Bread sign. Sign on right promotes their "Air Foam Mattresses" and "Tile Baths"! 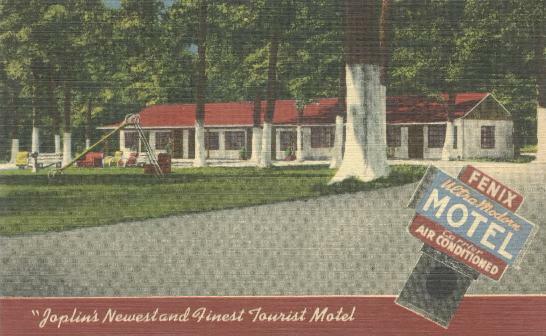 The sign also states that the Motel is "Brand New". Gone now. 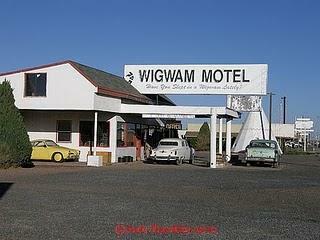 Wigwam Motel. 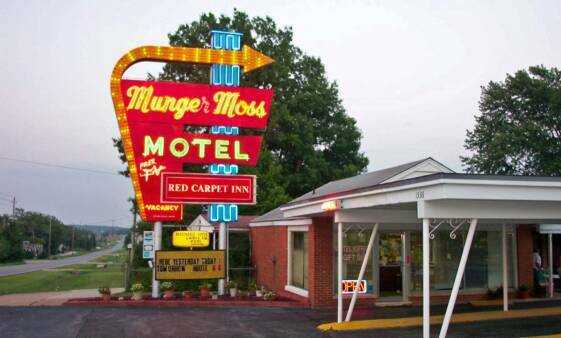 In Holbrook, the neon may have dimmed but at Jo and Aggie’s Café, good food still is served, and you can still spend a restful night in a whimsical teepee at the Wigwam Motel. Logs of stone and brilliant star lit skies are the link that bridge the past and the present. 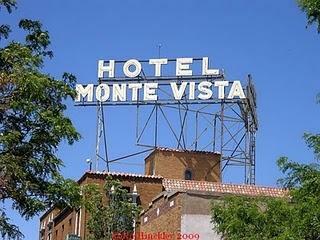 Hotel Monte Vista, Flagstaff, Arizona Shattering the preconceived notion that Arizona was a land of sun-scorched rocks, sand, and cacti was the drive west was over a shade dappled road where a hint of pine dances on the breeze. 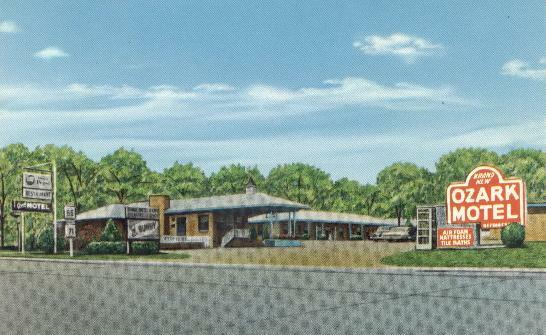 In the heyday of the national auto craze, when Route 66 was the "Mother Road," a man named Frank Redford had the idea that motorists would make a roadside stop when an attraction was visually startling. 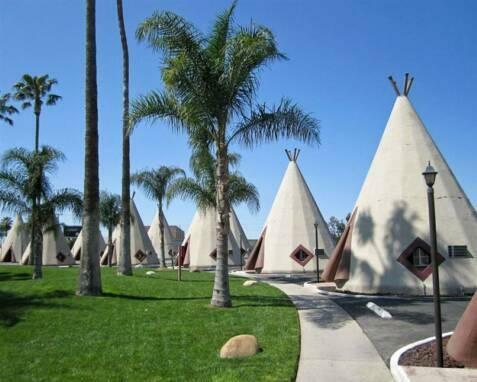 Redford's Wigwam Villages in San Bernardino, Calif., Holbrooke, Ariz., and Cave City, Ky, are concrete teepees (each containing an individual motel room) encircling a larger teepee housing a restaurant, gift shop, and gas station. 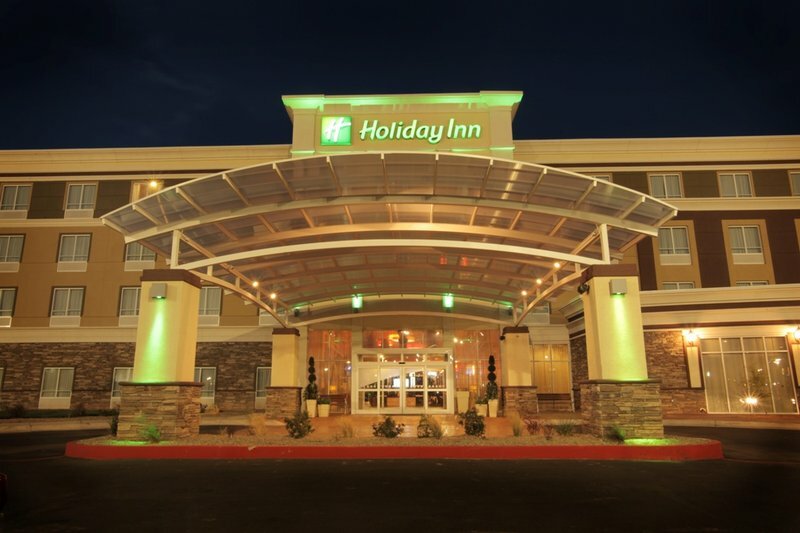 You are invited to experience Amarillo’s newest full service hotel, the Holiday Inn – Amarillo West Medical Center. 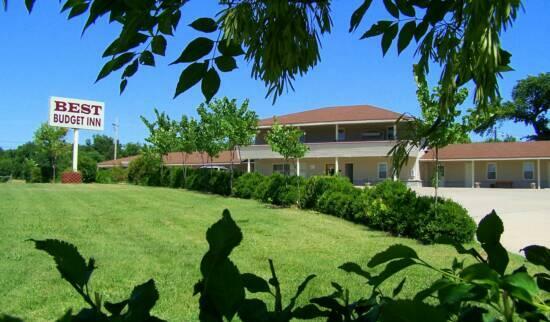 Conveniently located in the heart of Amarillo we offer the best in service and amenities to surpass all of your expectations. 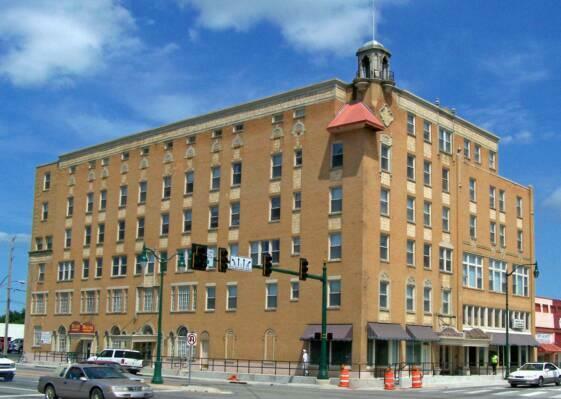 Known as the ONLY Hotel in Amarillo with a Water Slide, we feature over 150 well appointed guest rooms which will allow for a relaxing and enjoyable stay while in the panhandle region. 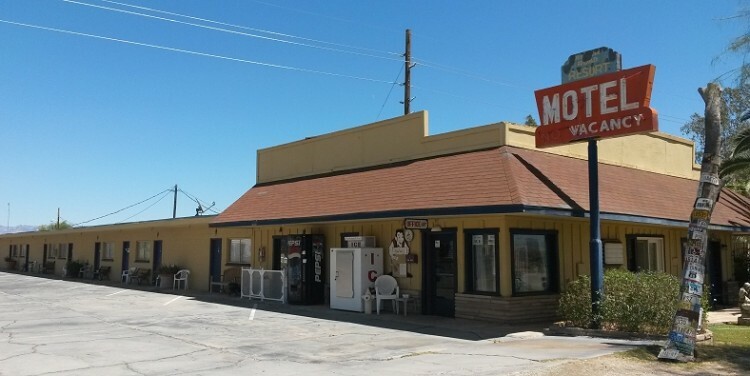 Due to our prime location we are only a short distance from Amarillo’s major attractions including: Historic Route 66, the Big Texan Steak Ranch, The Cadillac Ranch, Palo Duro Canyon State Park (USA's 2nd largest canyon) and Wonderland Amusement Park. 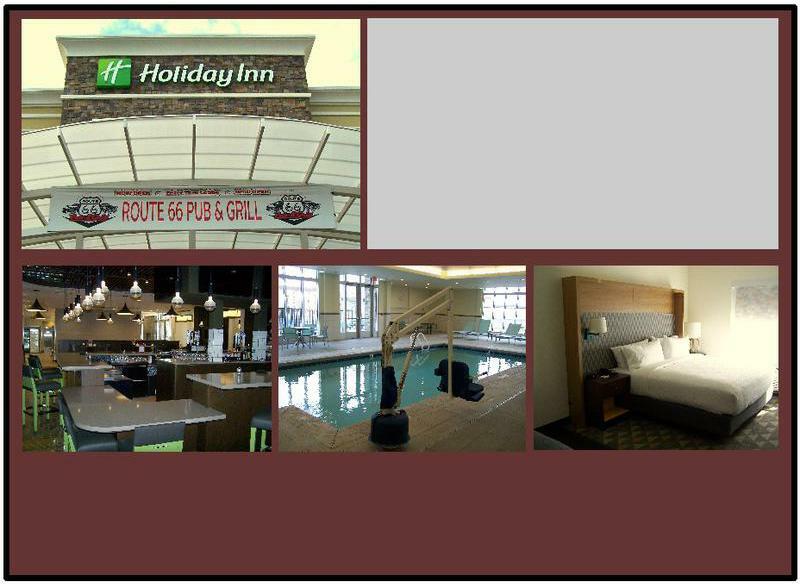 Our full-service Amarillo hotel features our “Flame” Mexican bistro . The restaurant offers a variety of selections to satisfy all with an emphasis on upscale authentic cuisine. 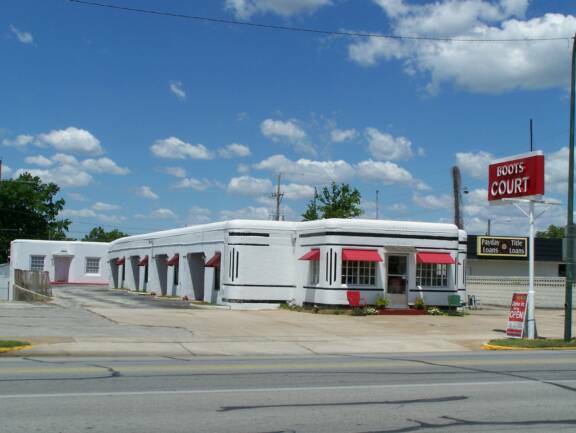 Large Route 66 touring groups are welcome, and you can enjoy hosting your meetings, reunions, or special events on-site featuring over 8,500 sq ft of banquet event space. 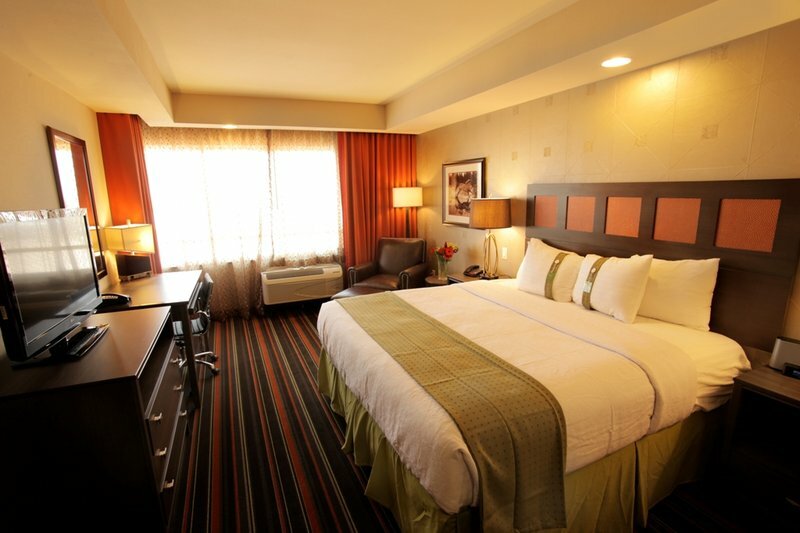 Our Amarillo hotel offers relaxing rooms featuring stylish decor & amenities, including a micro/fridge, wired/wireless Internet, 37” HDTV and an iPod dock. Our state of the art heated pool area features a water-slide, a sauna, hot tub and an opportunity to grab a snack in the poolside bar. 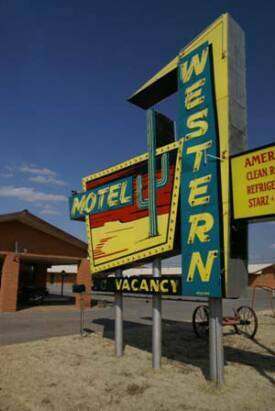 located on the West side of Amarillo, Texas. 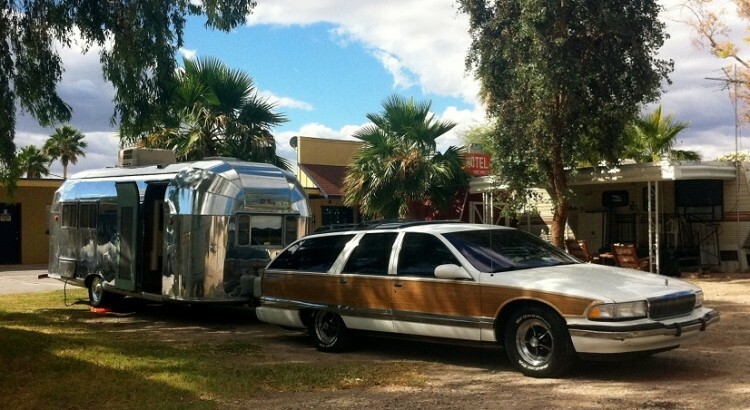 LARGE ROUTE 66 TOURING GROUPS ARE ALWAYS WELCOME ! A perfect location for snowbirds and RV'rs with warm winters and ideal for families to have fun in the sun and in the water all summer long. 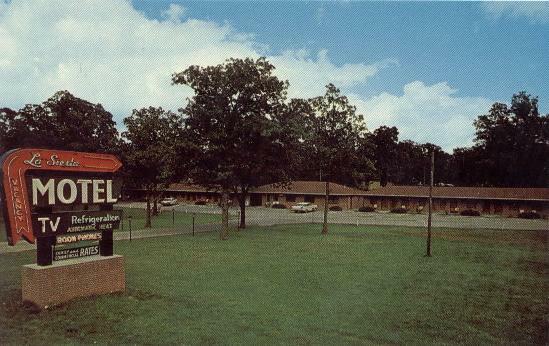 Comfortable Motel Rooms with Amenities! 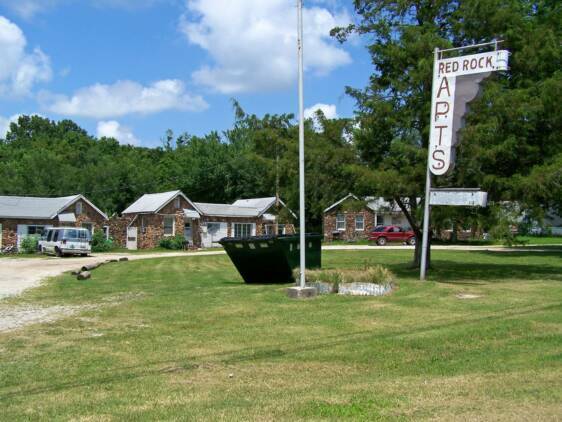 RV Park with full hook-ups, laundry and more! Nestled on the shore of the Colorado River. 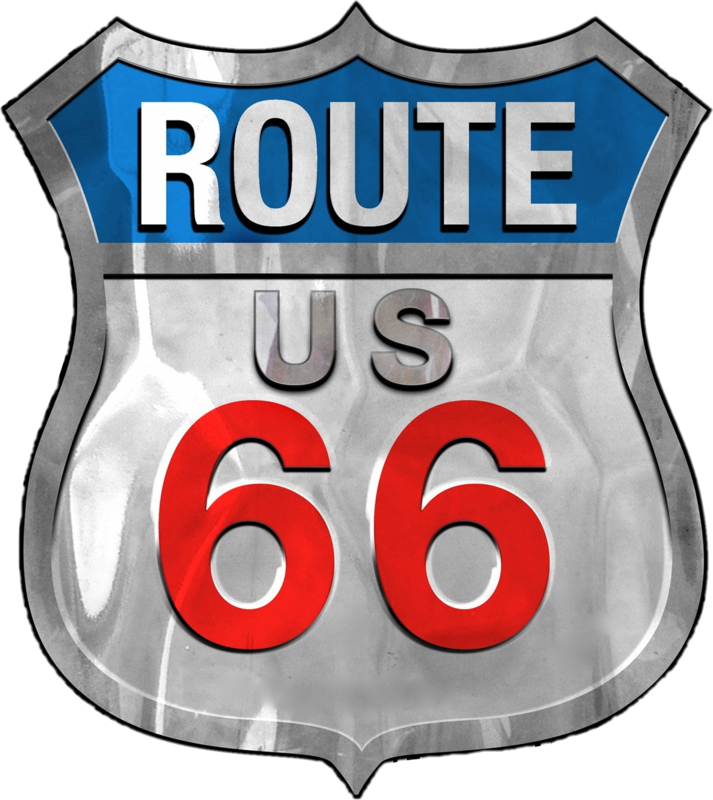 A Route 66 Icon for more than 55 Years! 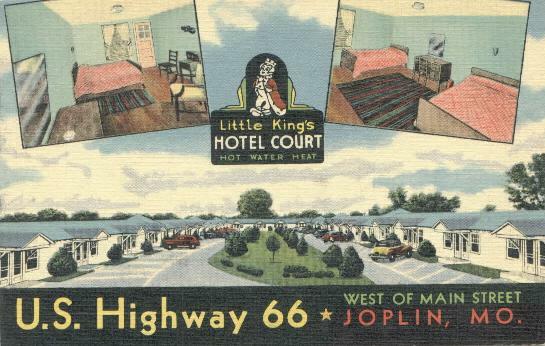 Classic Motor Court Lodging with today's modern amenities, squeaky-clean rooms and the best beds on the Mother Road, Experience road travel the way it used to be, and get your kicks on Route 66! 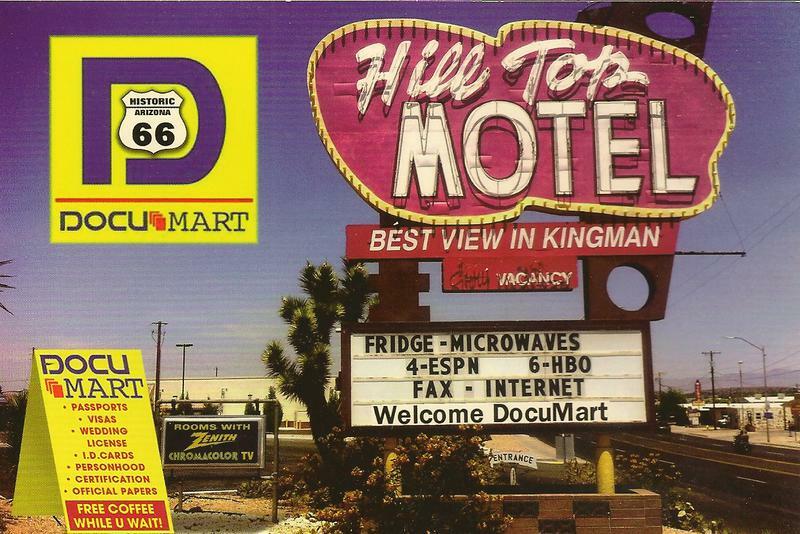 The Historic Hill-Top Motel is located at 1901 E. Andy Devine Ave. in Kingman, Arizona. Call 602-753-2198 for Reservations. 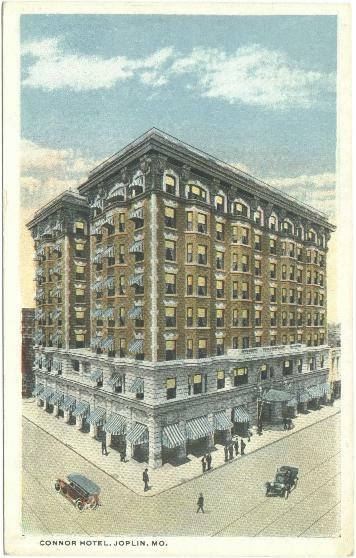 Set on Historic Route 66 in a landmark 1920s building, this upscale boutique hotel is across the street from the University of Tulsa and 2.8 miles from the BOK Center concert and sports arena. 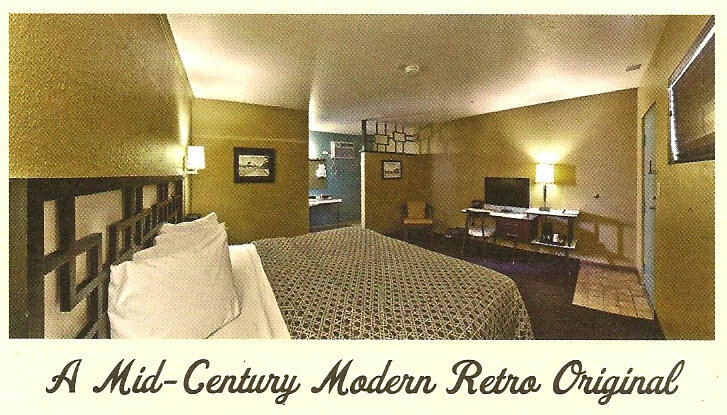 The stylish rooms are individually decorated in themes ranging from art deco to Route 66. 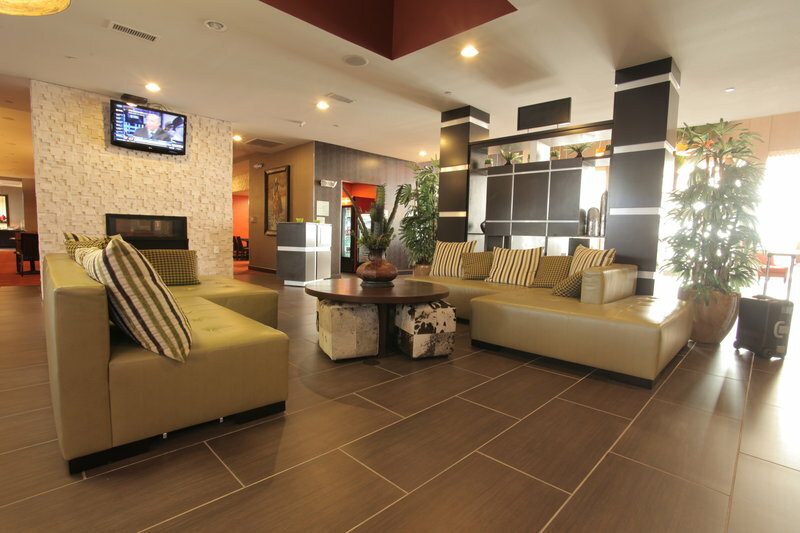 All have flat-screen TVs and free WiFi, plus Keurig coffeemakers, microwaves and minifridges; most have wood floors. Some have whirlpool tubs and decorative fireplaces. Suites add separate sitting areas. 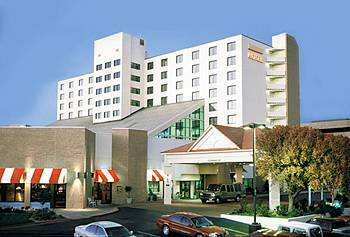 Complimentary continental breakfast is served and there's an on-site spa and salon, plus an intimate bar. All major credit and debit cards are welcome. 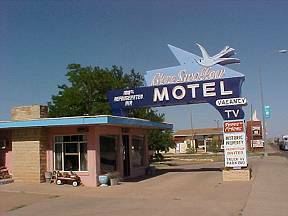 WHY NOT SLEEP IN TUCUMCARI TONIGHT!